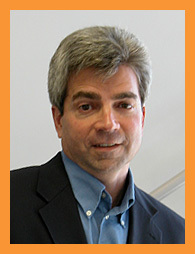 Bob Stiegler, CFO, is a co–founder of Innovative Applied Sciences. In his role as CFO, Bob is responsible for the financial planning and management of the Company. In his secondary role of technical oversight of various engineering projects, Bob is responsible for all aspects of a project from budgeting to technical solutions and post–delivery support. Bob has over 25 years of experience with complex systems development and providing innovative solutions to a diverse customer base. In particular, he has overseen several large scale defense projects from the proposal phase through to delivery to the customer, and subsequent support phases. He holds a Bachelor of Science degree in Electrical Engineering from Clarkson University with a minor in Computer Engineering. Prior to Innovative, Bob was a founding member of Dot4, Inc. which provided high end software engineering services to the real–time and embedded industry. At Dot4, Bob’s executive responsibilities primarily included management of vital Dot4 projects; he also provided various administrative and financial duties.